This Card can be used in participating stores as full or part payment of products subject to the in-store technology. This Card cannot be redeemed for cash and no change will be given if the value of purchases is less than the value of this Card. This Card should be treated as cash. This Card is valid for 18 months from the date that value is loaded. 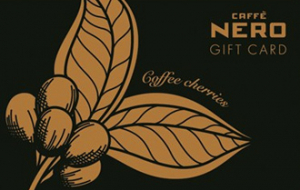 Please visit https://www.caffenero.co.uk/ to check your card balance and to see full terms and conditions including cancellation policy.